Faye Carr is a Yuggera Elder from Ipswich in Queensland, who has overcome a tough childhood to become a strong advocate and leader in her community. 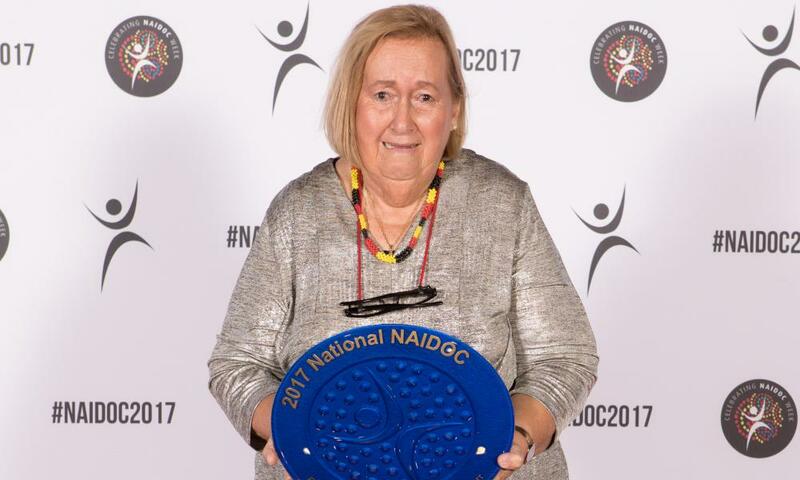 Passionate about sharing her culture and knowledge with her community, Faye has been contributing to Aboriginal and Torres Strait Islander people since the 1960’s. Faye was involved in establishing the Aboriginal and Torres Strait Islander Legal Service, the Kambu Progress Association and the Kambu Aboriginal and Islander Health Service to deliver important legal, housing, recreational and health services to Ipswich and broader Queensland. Among many accolades, Faye was honoured with Ipswich Citizen of the Year in 2016. Always an advocate for her people, Faye recently met with Prime Minister Malcolm Turnbull and other key stakeholders to raise awareness about the impacts of domestic violence on women and families.